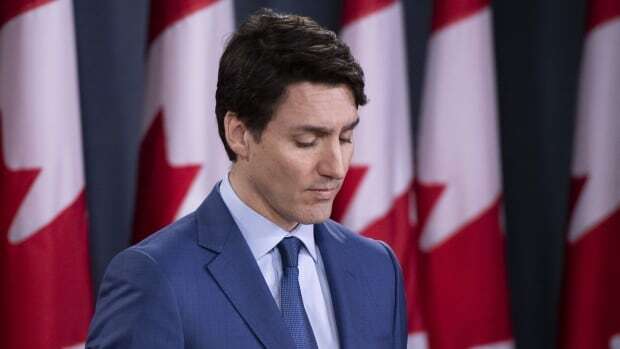 Prime Minister Justin Trudeau blamed poor communications and an “erosion of trust” between his former top adviser and Jody Wilson-Raybould for the SNC-Lavalin controversy that has rocked his government. At a news conference Thursday in Ottawa, Trudeau said he tasked his staff members to engage Wilson-Raybould on the file while she was justice minister to stress the potential impact of her decision. In hindsight, he said, he should have reached out “personally” on the crucial matter instead of dispatching staff. He said an “erosion of trust” developed between his principal secretary at the time, Gerry Butts, and Wilson-Raybould. Conservative Leader Andrew Scheer is responding to Trudeau’s statement at 12:30 p.m. ET and CBCNews.ca is carrying it live. NDP Leader Jagmeet Singh is also responding at 1:00 p.m. ET. The prime minister said his officials reached out to Wilson-Raybould in subsequent months because he believed she was still “open” to other options on the SNC-Lavalin case. Trudeau said Wilson-Raybould never told him she believed those contacts amounted to inappropriate pressure. While Trudeau’s statement was not an apology, he acknowledged he could have done a better job of fostering open dialogue with his minister. “That is something I’m having to reflect on as a leader, and that I’m looking forward to improving on as we go forward,” he said. “These are the types of situations that make governing a challenge. And when there’s an erosion of trust within the people involved, it further complicates what is an already difficult decision for the attorney general,” he said. “Ultimately, I believe our government will be stronger for having wrestled with these issues,” he said. Trudeau’s statement comes a day after Butts testified before the Commons justice committee on his role in the SNC-Lavalin affair. Butts also blamed the crisis engulfing the government on a breakdown in trust and communications that led to the resignations of two top cabinet ministers. Wilson-Raybould and Jane Philpott — who stepped down as Treasury Board president in the wake of Wilson-Raybould’s resignation as Veterans Affairs minister — remain in the Liberal caucus. Wilson-Raybould was made Veterans Affairs minister during a cabinet shuffle in January. Butts presented a version of events starkly different from the one offered by Wilson-Raybould, who was attorney general at the time she was dealing with the SNC-Lavalin file. Wilson-Raybould said she endured intense political pressure and veiled threats to overturn the director of public prosecution’s decision to proceed with the criminal prosecution of SNC-Lavalin. On Thursday, he was asked why he didn’t leave Wilson-Raybould in the justice portfolio when he shuffled his cabinet Jan. 14 and if he regretted moving her to Veterans Affairs. “As we look back at the past weeks, there are many lessons to be learned, and many things that we would have liked to do differently, and that is certainly part of the reflection we need to have going forward,” he said.